Every war necessarily leaves painful and indelible traces in society, but people’s souls are wounded not just during the war itself. Often the suffering begins already before it breaks out and lasts until long after its end because there’s always a more or less intricate history leading to open hostility and often unexpected aftermaths emerge long after the restoration of peace. World War II is no exception there. The holocaust, the nuclear bombings of Hiroshima and Nagasaki and the bloody battles virtually all around the world are burnt into individual and collective memory forever. But also those who weren’t directly affected by such traumatising horrors suffered, though differently, less obviously. 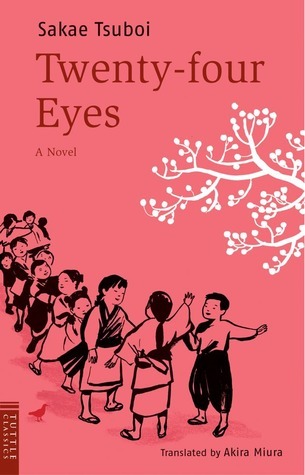 The pacifistic novel Twenty-four Eyes by Tsuboi Sakae evokes the years before, during and after World War II as a primary school teacher and the twelve pupils in the first class that she ever taught experienced them in a small Japanese village. Tsuboi Sakae (壺井 栄) was born Iwai Sakae (岩井 栄) in the village of Sakate on Shōdo Island (now part of Shōdoshima), Kagawa Prefecture, Japan, in August 1899. After grade school, she worked as a clerk to support her family until she moved to Tōkyo in 1925 where she married the proletarian poet and writer Tsuboi Shigeji (壺井繁治) who was imprisoned for his political views several times during the 1930s. This is when Tsuboi Sakae began writing novels and children’s stories for magazines, both because she felt the urge and for a living. Her debut novel was 大根の葉 (1938; Radish Leaves). 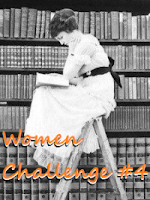 Apart from her famous novel Twenty-four Eyes (二十四の瞳: 1952) only the individual short stories The Moon of the Fifteenth Night (十五夜の月: 1942), Under the Persimmon Tree (柿の木のある家: 1948), Summer Oranges (夏みかんナツミカン: 1948), and Umbrella on a Moonlit Night (月夜の傘: 1953) seem to have been translated into English. Others of the most notable works of the prolific author are 母のない子と子のない母と (1951; The Motherless Children and the Childless Mother), 坂道 (1952; The Slope), and 風 (1954; The Wind). Tsuboi Sakae died in Tōkyo, Japan, in June 1967. 4 April 1928 is the first school day for twelve first graders in the isolated cape village on a lake-like bay on Shōdo Island in the Seto Inland Sea as well as for their “Lady Teacher” Hisako Oishi fresh from women teachers’ college. More than just their Twenty-four Eyes scrutinise the tiny young woman wearing a white shirt and a black jacket like a man’s instead of a kimono. The next morning she startles people in the poor fishing and farming community even more because she comes riding on a bicycle from her village five miles away. The adults call her “forward” for it and keep a distance, while their children quickly take to her. She is supposed to stay in the cape school for a year, but on the first day after summer holidays she falls into a sand trap on the beach and breaks her Achilles’ tendon which prevents her from coming to school for weeks. The children miss her terribly and decide to visit her at home. They set out on the trip without the knowledge of their families and the walk seems to take no end. Just when they are about to give up, they meet Miss Oishi. After a meal and having a photo taken, she sends them home by boat. As for her, she doesn’t teach “her” cape children again until they are fifth graders because she is transferred to the main school in the principal village. She doesn’t stay on as a teacher for long, though. She gets married and when she is pregnant with her first child she quits. And she is glad to leave because she feels that she can no longer speak openly without fear of arrest. The cape children grow up and finish school. Then the war breaks out and the boys are all drafted into the army. In the beginning Twenty-four Eyes seems to be just an engaging novel about a young primary school teacher and her first pupils in a poor isolated village by the sea, but as the story advances ever more critical undertones sneak in almost imperceptibly. There’s the tense economical situation of the villagers who have to cope with growing hardships during the Great Depression of the 1930s. With great skill and sensitivity the author evokes the desperation that makes two impoverished families give away their oldest girls (maybe in exchange for money) to remote relatives or strangers, destroying not only their promising future but also their souls. In addition, the novel draws attention to the fact that even very gifted children are often compelled to leave school as soon as possible to help to support the family or to marry. Criticism of Japanese politics in the first half of the twentieth century that produces an increasingly oppressive and bellicose atmosphere even in remote places is hardly less pronounced, but the focus clearly is on the futility of war. In my opinion, the author’s idea to make the useless sacrifice and the lasting suffering of the survivors palpable in a class reunion after the war is simply a stroke of genius. It’s certainly true that Twenty-four Eyes by Tsuboi Sakae isn’t a particularly cheerful novel because being set in an economically difficult period of world history that culminates in war, the story almost necessarily takes several sad turns, especially towards the end. Thanks to its warm and vivid tone that never drifts into sentimentality or even bitterness it’s nonetheless a very pleasurable and more than just worthwhile read. Moreover, I experienced it as a really succeeded anti-war novel. I’m not surprised that the book was a bestseller when it first came out in 1952 and that it has been made into a film already twice since. It’s a pity that it is so little read today. Thus my recommendation. Wonderful find Edith! I have noticed in my reading over the years that most serious authors are anti-war. I am adding this to my list. It seems a wonderful addition to Japanese history. Yes, this book is a treasure - at the same time anti-war and a charmng read, not a usual combination ;-). I hope that you'll like this one, Judy! Even though it was written in the 50's, this book sounds so applicable today, especially to me, a teacher, because it's themes are timeless. War, education, poverty, parenting, there's so much to learn about each of these topics which can still baffle and confuse us. (Me.) I have added your review to the list, and am sad about my own apparent negligence. But! I have a lovely book of poetry for children I am going to review this weekend, and I also want to ask if you are interested in a read along of A True Love by Minae Mizumura which I am hosting in December. I will make a formal announcement on my blog soon, but several people indicated interest on Twitter. I hope you'll be interested, too! You are one of the dedicated Japanese literature readers this year, but I will try to catch up!! 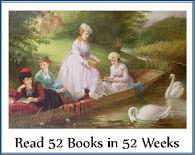 Yes, some books are timeless and Twenty-four Eyes definitely is one of them. The more it's a pity that this charming novella is so little known... Tsuboi Sakae really had a gift for portraying children. As for the read-along. I don't know. I've never participated in one, my reading schedule is so full and then it's just before Christmass. But I'll certainly think about it. :-) Thanks for inviting me anyway. Yes, if I don't make up my mind to join the read along, I'll certainly follow :-) Looking forward to it!